Strutmasters 2000-2002 Lincoln LS Front Air Suspension Conversion Kit is the perfect solution to your air suspension problems. Designed to be very affordable, you can convert your air suspension to use standard struts and coil springs for less than the price of replacing one air strut. 2000-2002 Lincoln LS Front Air Suspension Conversion Kit (FD1FB) is the perfect solution to your air suspension problems. Designed to be very affordable, you can convert your air suspension to use standard. 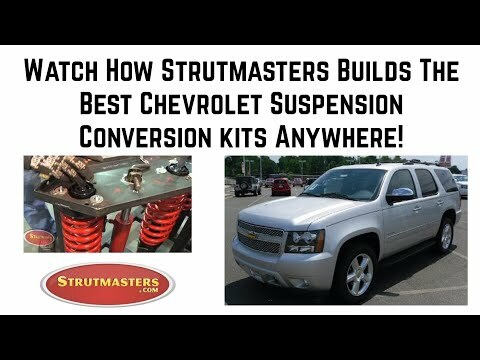 Strutmasters' air to non-air suspension conversion kit saves LS owners time, frustration, and money when the air suspension system goes bad. This kit, manufactured in America, comes complete with two front strut assemblies with cold-wound steel Eibach coil springs. Detailed instructions, online installation videos, and tech support from an ASE-certified expert all help you get the kit installed in as little as one hour per wheel. 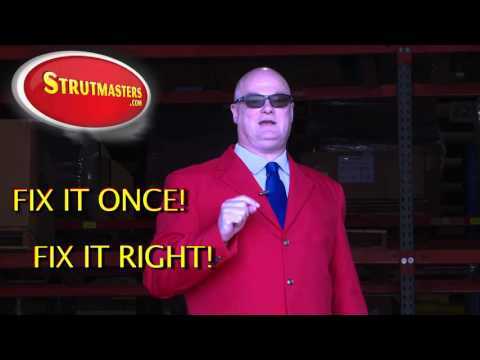 The quality parts are backed by Strutmasters' Lifetime Limited Warranty. Lastly, the cost of the kit is a fraction of dealership direct replacement and aftermarket part replacement. How Do I know If My LS Air Suspension is failing? There are common signs of a failed or leaking air suspension system on your 2000-2002 Lincoln LS. You should be aware of what they are so you can properly diagnose when the air suspension is going bad before there is total failure. You don‚Äôt want to walk outside only to see your car looks like it‚Äôs been ‚Äúslammed‚Äù down into the ground! The most commonly seen sign is a sudden noticeable uneven height difference between different sides of the LS. This could be a sagging rear end or front end, with an inflated opposite end. Or there might be a shifting lean from side to side. Some drivers describe the LS as looking like it is squatting down too low to the ground. Check the instrument panel on the interior for an illuminated suspension warning light or message. 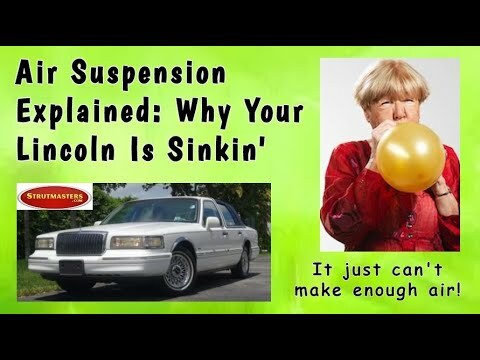 If the air compressor has stopped working or is running too often (will be loud and noticeable), it may be suffering from ‚Äúwear out.‚Äù Overall, if the ride height looks improper for the Lincoln LS, there is a good chance repair or replacement of the entire air suspension system may be necessary. 2000-2002 Lincoln LS Coil-over Struts (x2) - a type of shock absorber; has metal tubing filled with gas-charged hydraulic fluid that is connected to the wheel of a vehicle in order to reduce the effects of vertical travel on a rough surface which controls the bounciness, and therefore comfort, of a vehicle. Coil springs are seated over the strut body and control the vehicle's height.